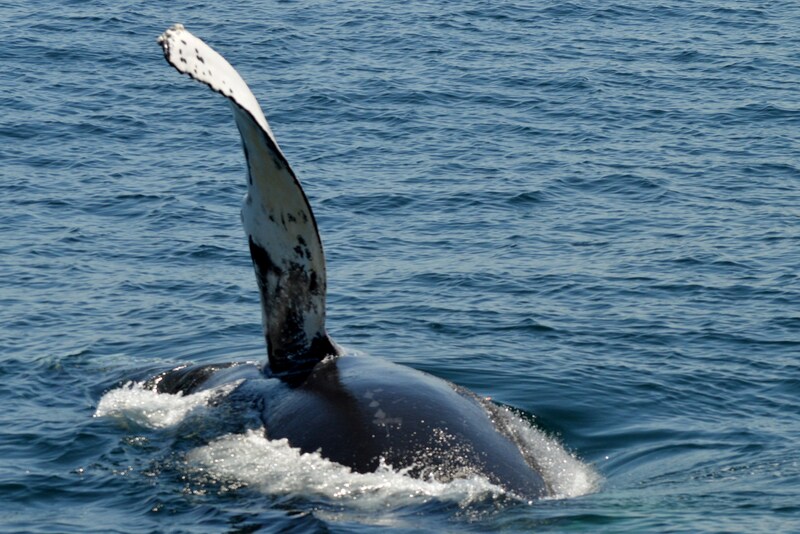 Cape Ann Whale Watch | What did we see today? Posted on April 24, 2016 by The Whalemobile CommentsNo Comments on Opening Day 2016!!! 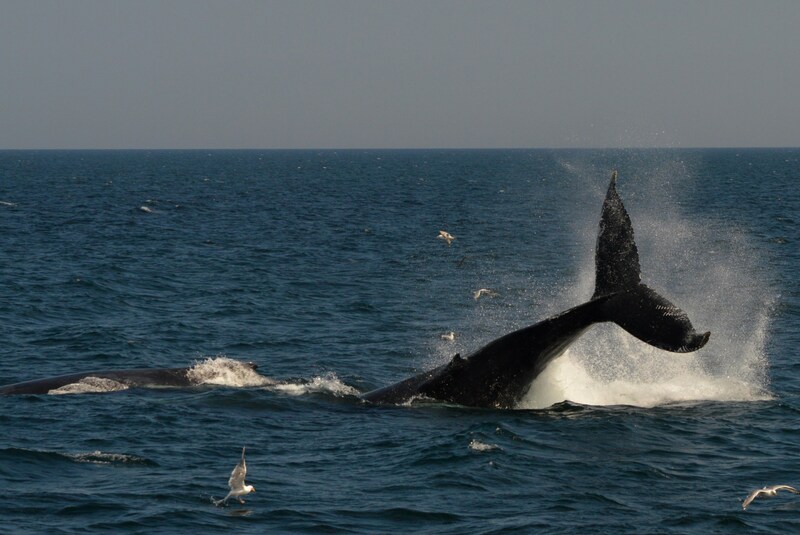 We love whale watching!! It’s like a holiday when the season starts! We all come out of our hibernation and become a crew again. It’s such a great time of year. As I was driving to Gloucester today, I was bummed by the rain drops on my windshield. I had looked at the weather and it looked like we would be in the clear for the trip, but the rain hadn’t stopped yet. Luckily, by the time we boarded all the passengers, the rain had stopped. The sun even made an appearance by the end of the trip! 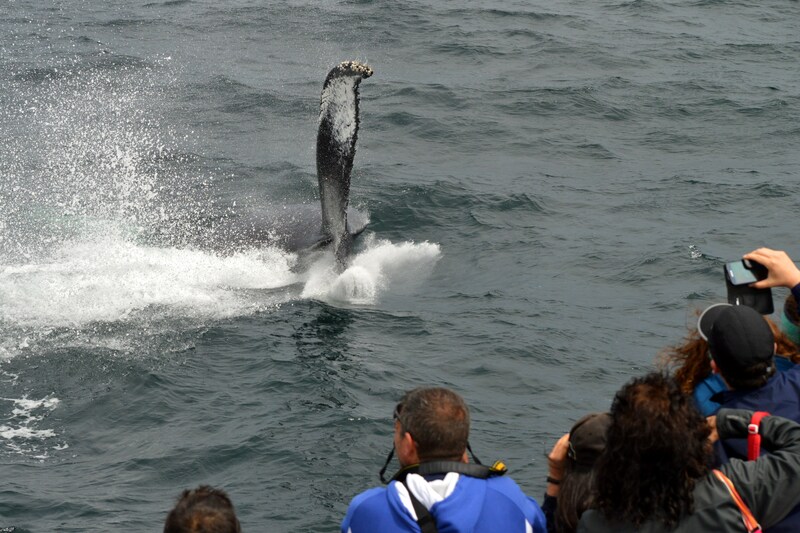 Despite the overcast conditions, if you went whale watching on Saturday, consider yourself spoiled! We saw everything! First mother calf pairs of the year, close to boat, breaching, feeding, dolphins, lunge feeding fin whales (in the distance). It was truly awesome. One of my favorite parts was the fact that by the time we were ending our time with whales, the wind had dropped off so much that you could hear blows over half a mile away. I would hear a blow, and when I looked up, I was surprised how far away the whale was. And literally every direction that you looked, there were blows. Lots of whales out there. 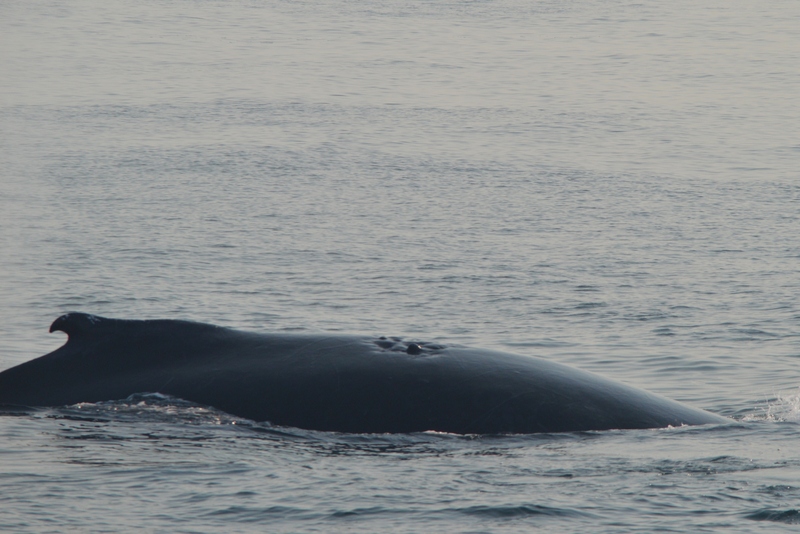 Some of the humpbacks we saw were Tornado and calf, Echo and calf, Komodo, Lavalier, and others that we haven’t ID’d yet. 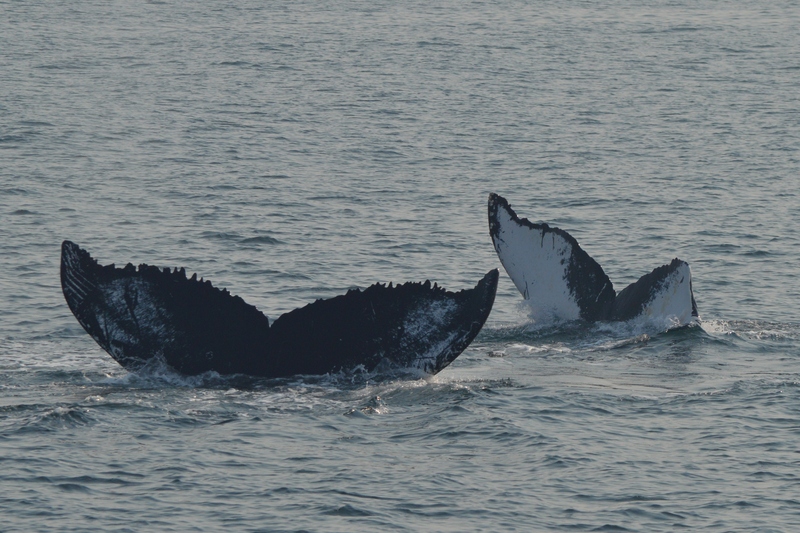 There were at least 10 humpbacks. 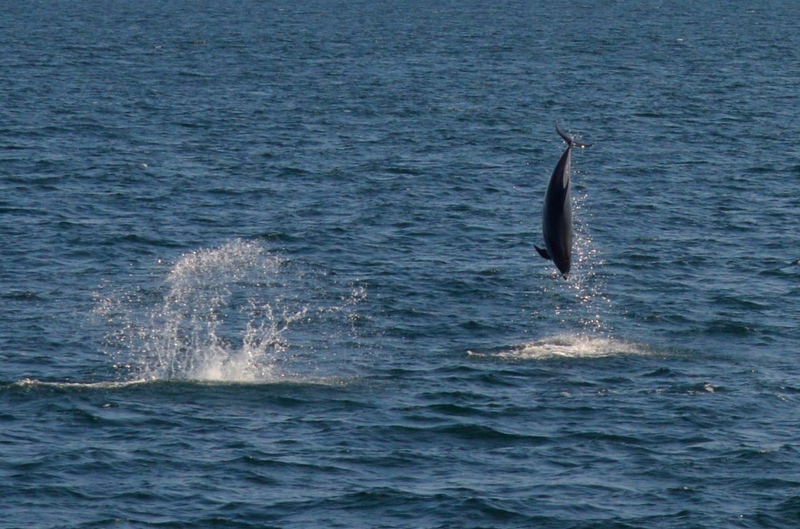 4 fin whales, over 100 dolphins spread out over a large space. 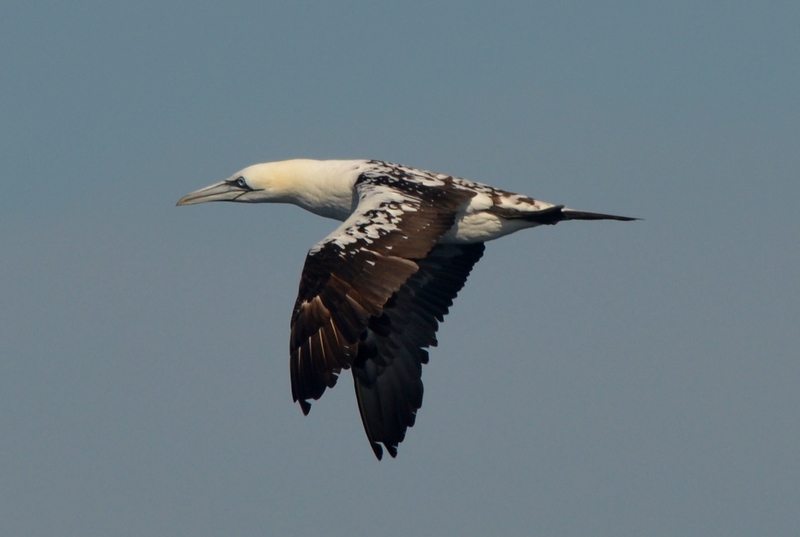 We saw a couple of gannets also. 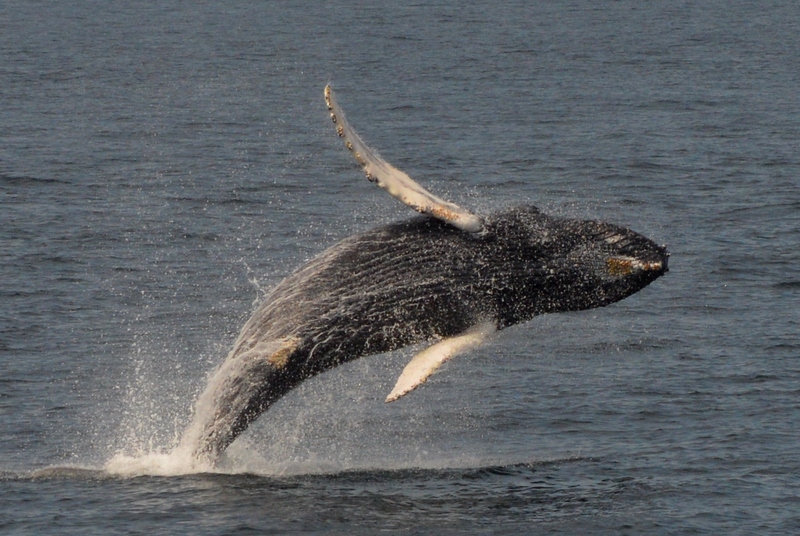 We had Echo’s calf breaching and really flying out of the water! I love the second one where it’s literally entering the water head first. 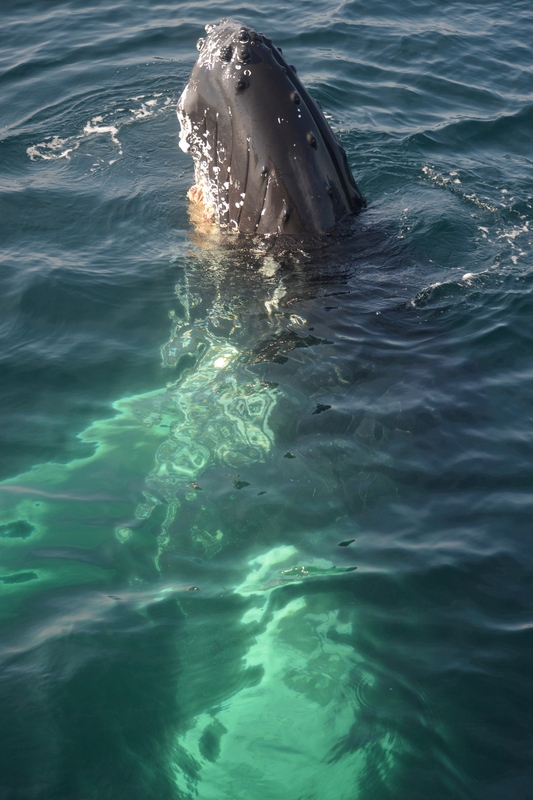 This little whale also fluked up a couple times so we could see the neat marks on the underside of it’s tail. Posted on February 24, 2016 by The Whalemobile CommentsNo Comments on Where are the whales now? Where do our whales go in the winter? They head south to the Caribbean. 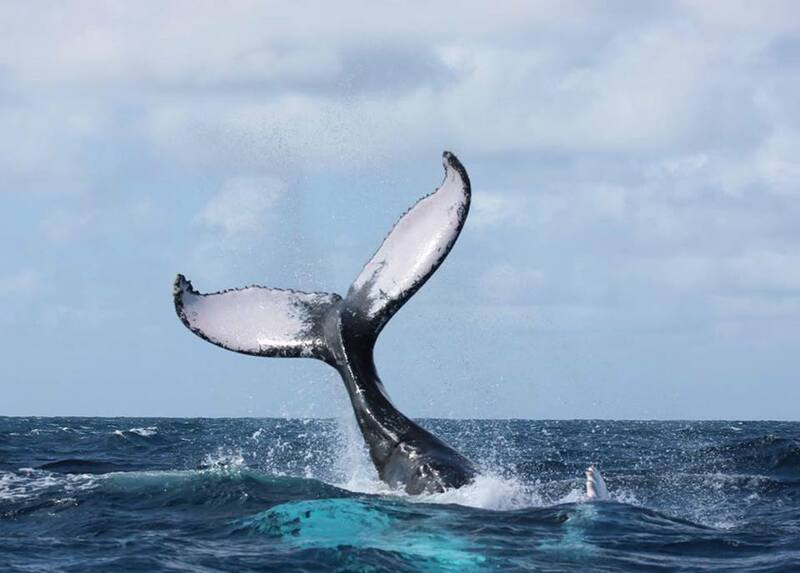 Many of the whales in the N. Atlantic are sighted around the Dominican Republic. Why do they go? 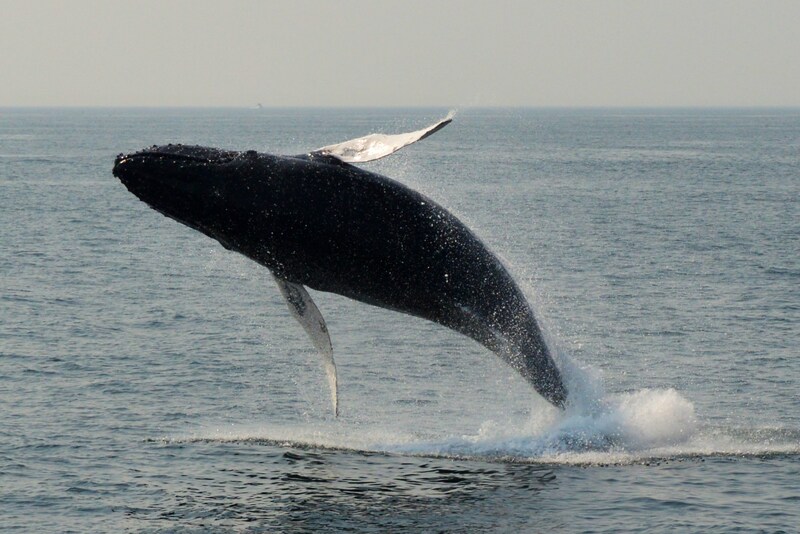 It’s thought that the females want to give birth in the warmer, calmer and more protected waters. Males go because that’s where the females are. They are there for mating and calving and as a result, different behaviors are observed than we see in the feeding grounds. Rowdy groups are seen (sometimes called competitive groups). Males will chase a female, competing with each other using their bodies and bubbles sometimes. Males will sing their famous songs throughout the winter. 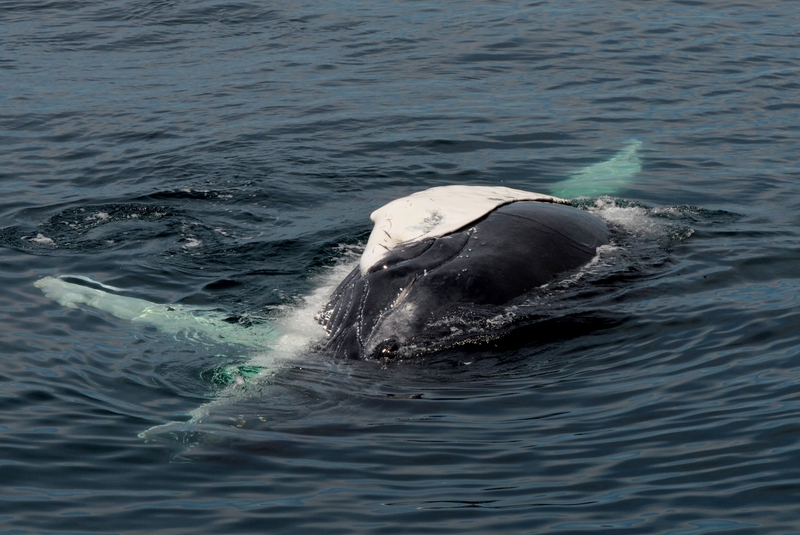 Despite years of studying whale song, scientist still are not positive about it’s purpose. It was once thought that it could be a way to attract females, although there is little evidence of that. It seems to be a way of communicating between males. Click here for a great description from Jim Darling of what we know to this point. 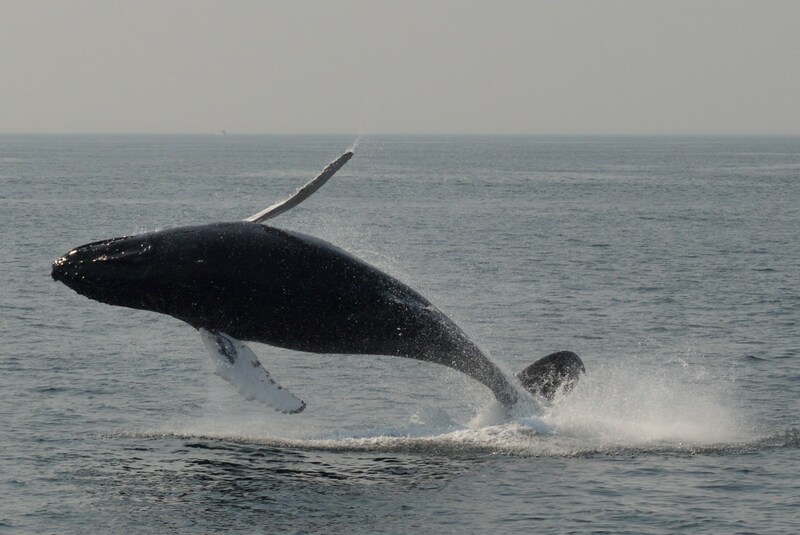 Other whales have been matched to Newfoundland or even the northern part of the Gulf of Maine. It’s great how technology and virtual communities help us learn more and more about these animals!!! 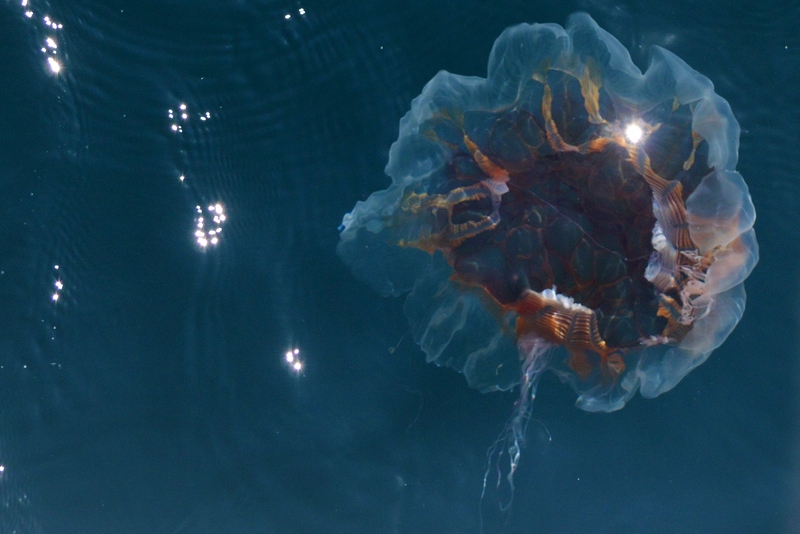 Less than two months left until they return to the coast of Massachusetts. We can’t wait!! 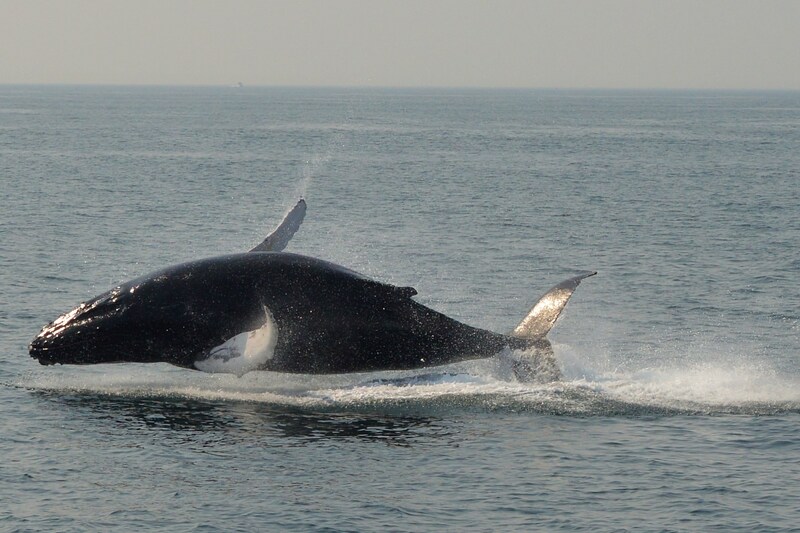 We have had a busy summer and the sightings have been awesome. We have watched a variety of animals, including the three most common species we see- minke whales, fin whales, and lots of humpbacks! We have also been very, very lucky with lots of surface behavior. 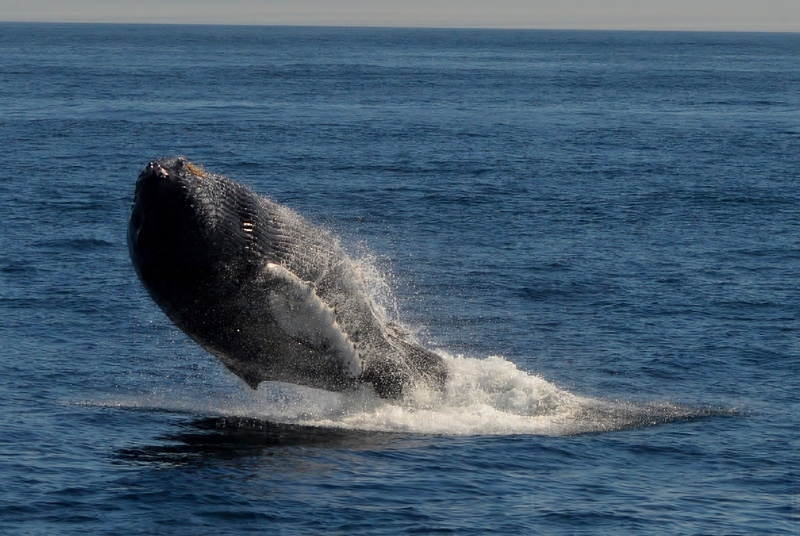 We never know when the whales might breach, roll over, or interact with the boat, and we enjoy it every single time. 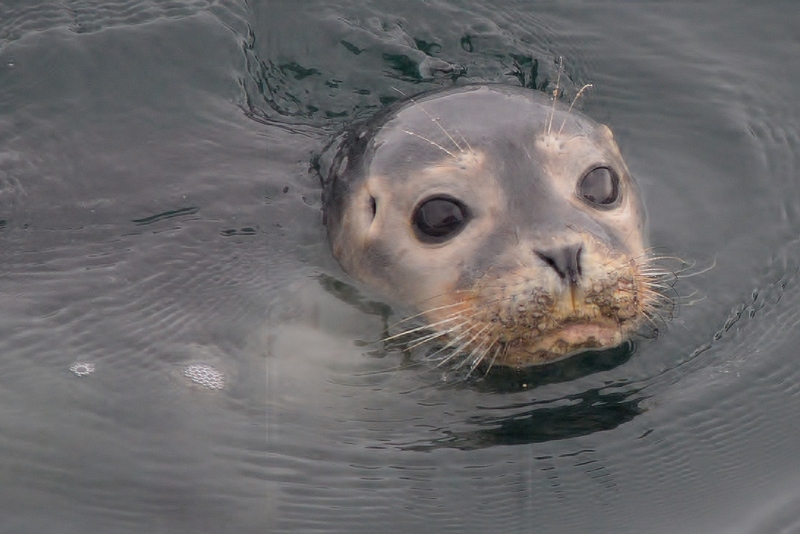 We had one awesome interaction with a juvenile who spent over an hour checking out the boat- rolling over, spyhopping, and looking right at us. 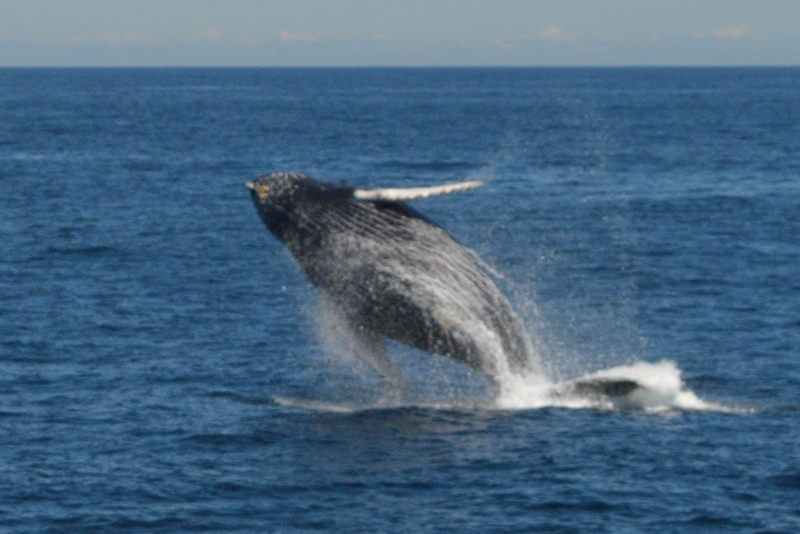 We have also been seeing a few whales who, unfortunately have come into some back luck. 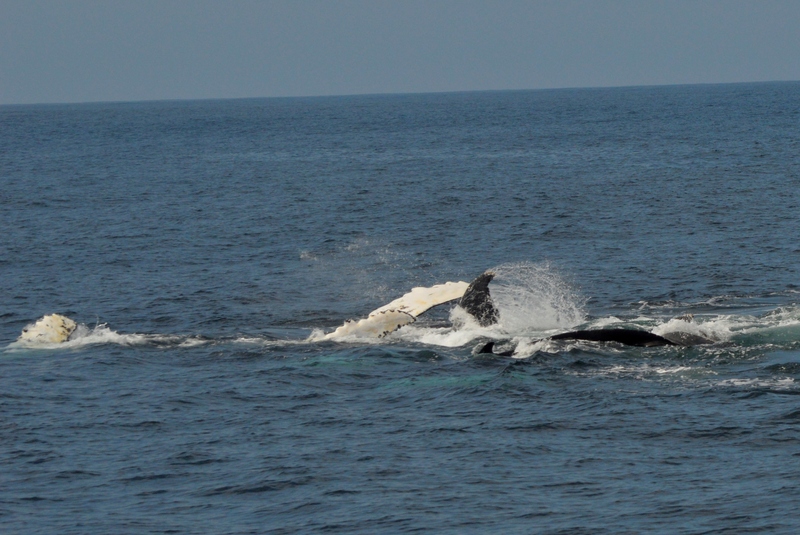 We watched Mogul, a 29 year old whale for about two weeks on Stellwagen before he moved on to Jeffrey’s Ledge. The next time we saw him a few weeks later, he had a small propeller scar across his back. 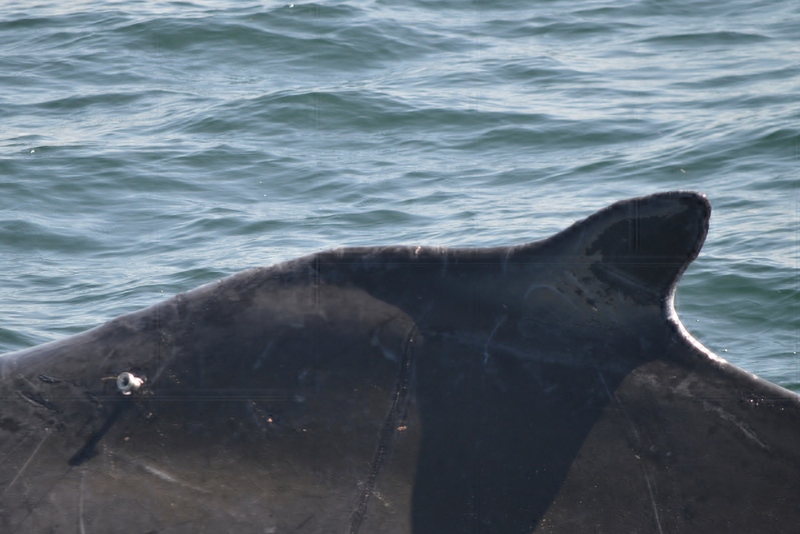 Owl is another whale who has a mysterious injury on her left dorsal and flank. 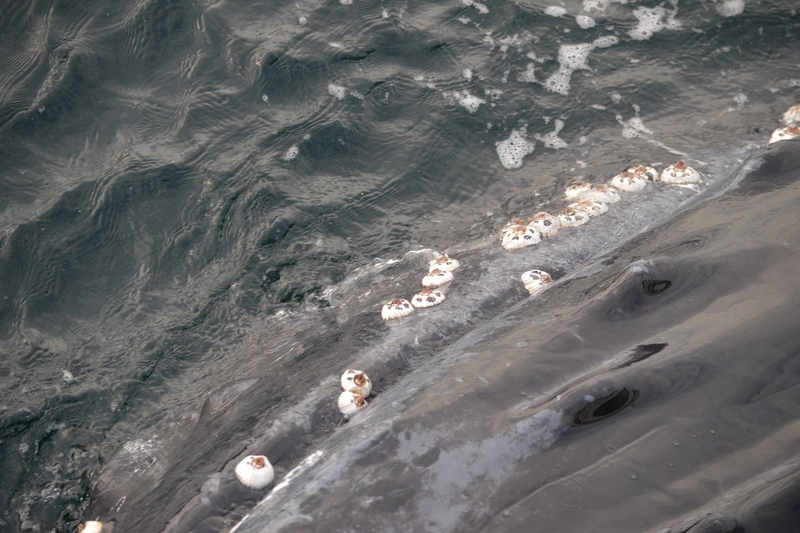 There have also been a number of reports of entangled whales. Hopefully these animals will be able to make full recoveries. In addition to whales, we have also been lucky enough to see not one but two sea turtles- a loggerhead on southern Stellwagen and a leatherback on Jeffrey’s. 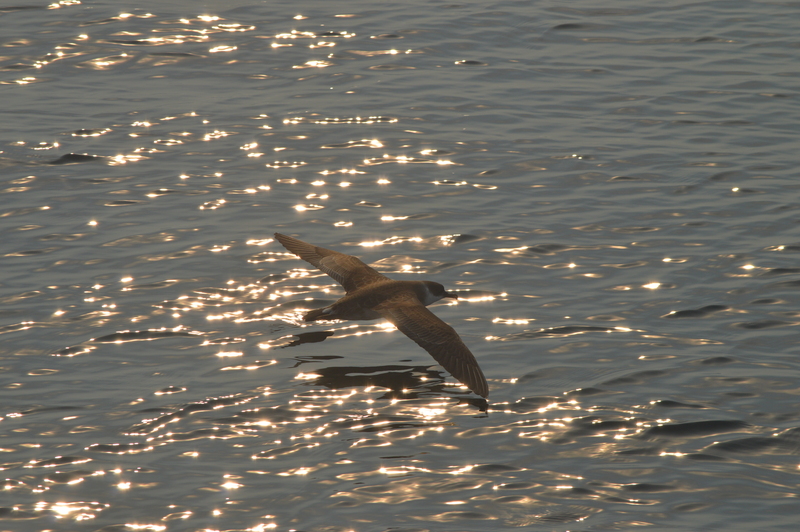 We have also had a number of sea birds throughout our trips, including shearwaters, Wilson’s storm petrels, and northern gannets. 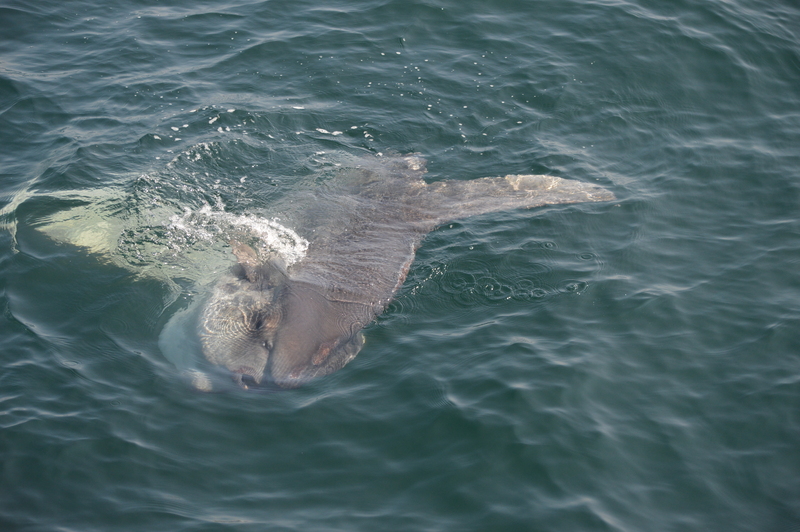 One day we found at least 5 ocean sunfish- we eventually kept driving when we saw a fin so that we could reach the whales! 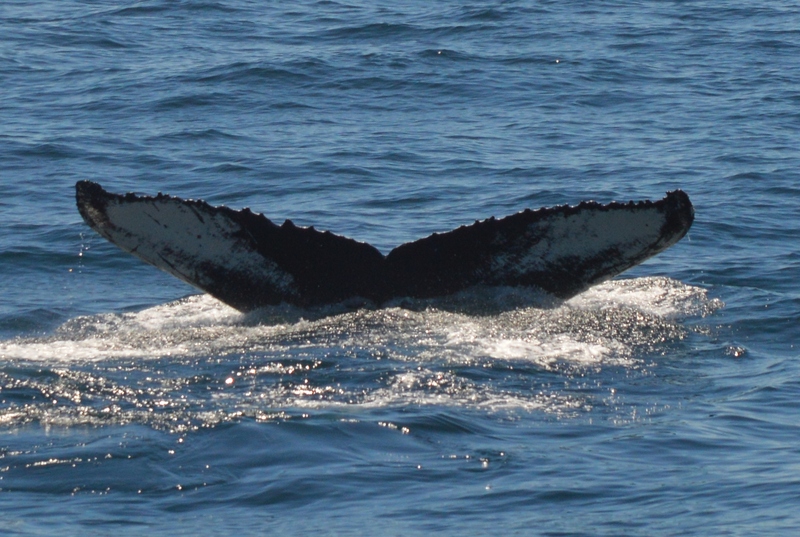 For the past couple of weeks, we have had great trips but have had to do some searching to locate the whales. Even with a bit of a longer ride, we have been able to see a number of different behaviors including logging (sleeping) and observing the whales feeding beneath the surface from bubble clouds at the surface. During the middle of the past week we found a whale on the northwest corner of Stellwagen- much closer than they have been. We wondered if this was a whale passing through the area or an indication that we might start to see the whales move north a bit. By Saturday the whales were back on the southern end of the Bank, and stormy weather kept us at the dock all day Sunday. 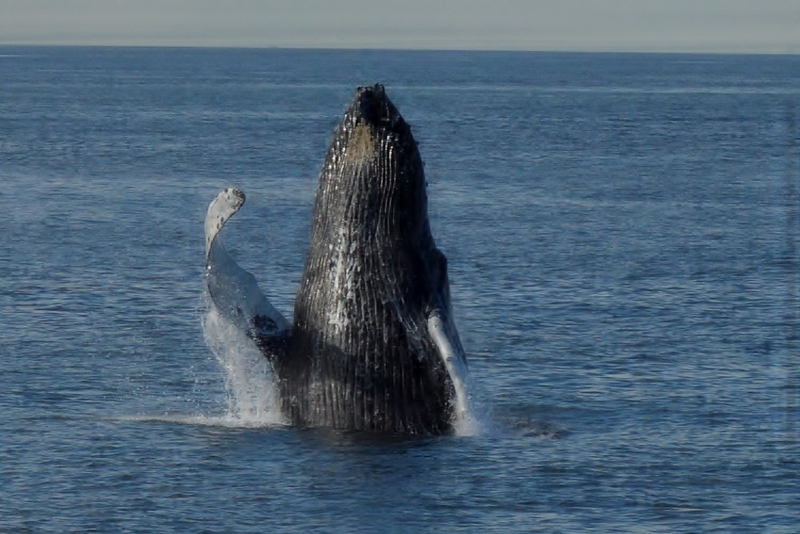 We were surprised by a report Monday morning of about 20 humpbacks on the northwest corner. We left Gloucester very hopeful, and 16 miles out were not disappointed! 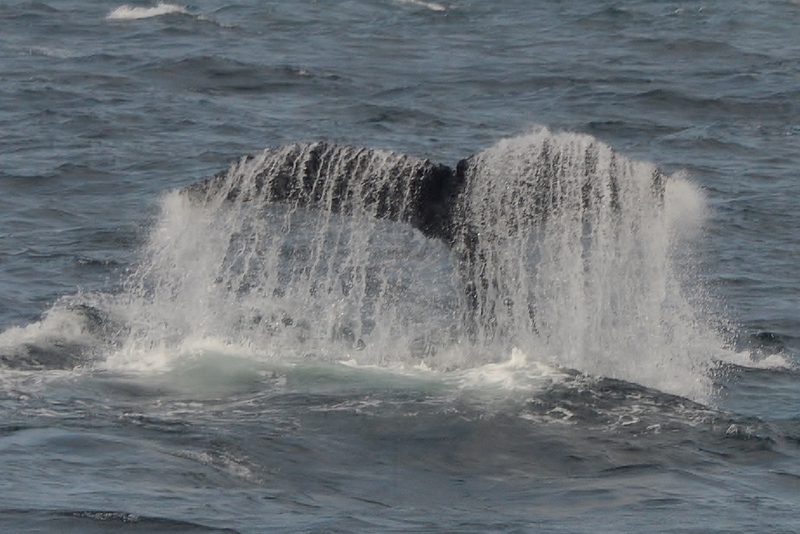 We watched at least 10 humpbacks, with a number of others in the area. 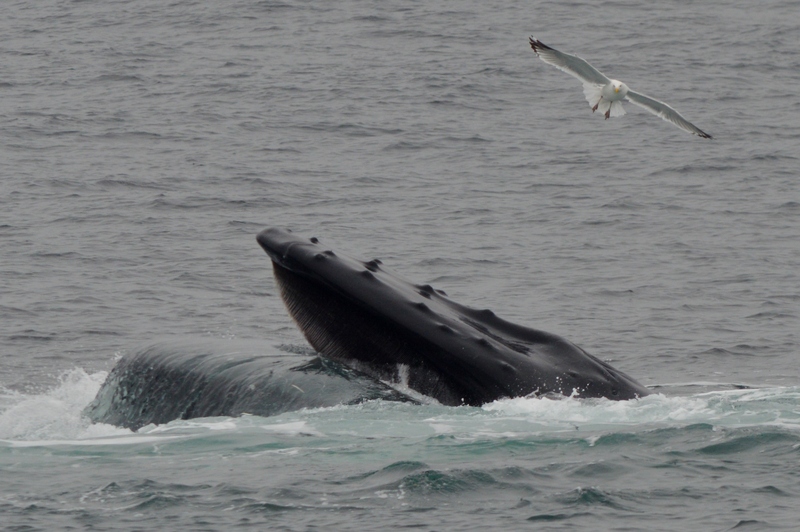 Open mouth feeding, mom and calf pairs, surface activity- we had it all! We sure hope they will stay in the area for a while. 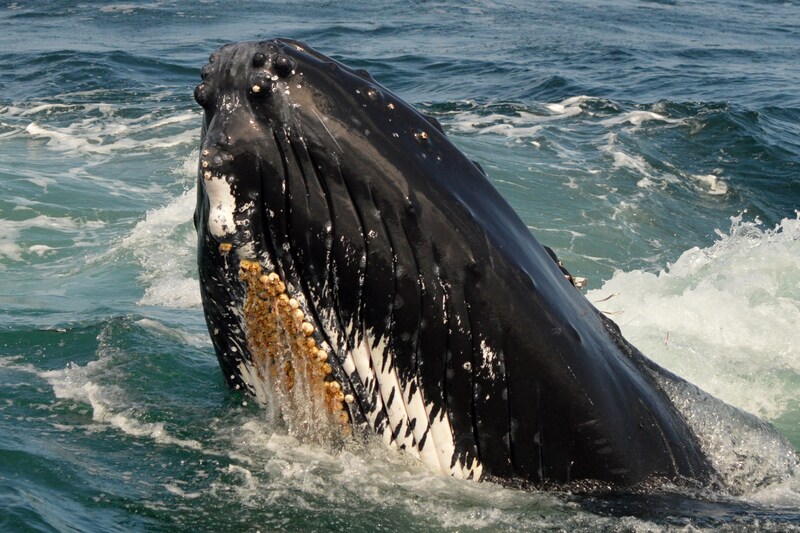 The whales have been shifting around a bit lately, and we have had some long rides over Stellwagen Bank. Each day is also different from the next, as we have watched anywhere from 1-15 whales on a single trip, including the three main species we see (minke, humpback, and fin). 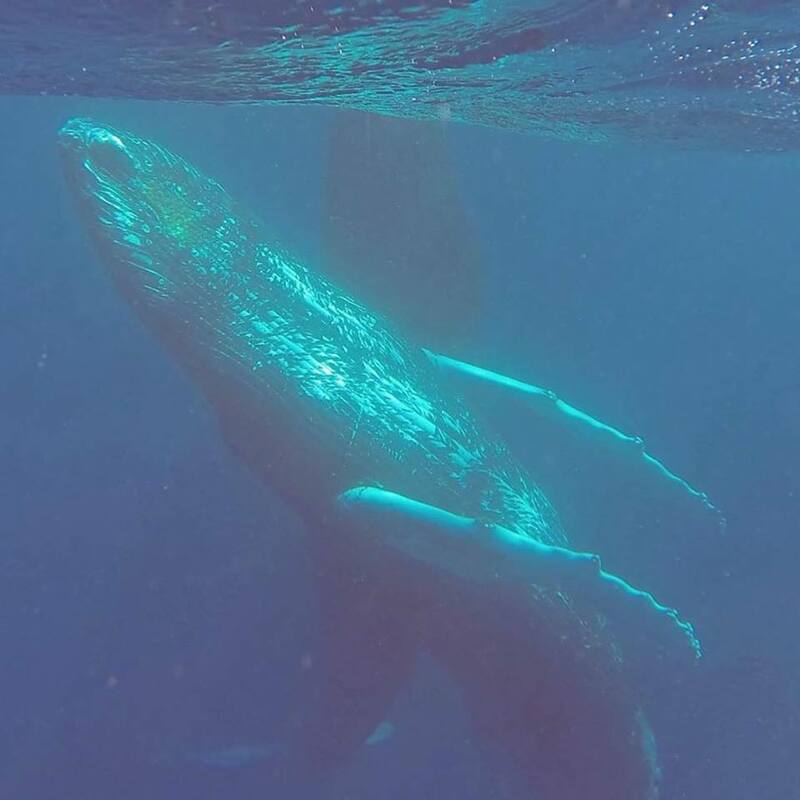 Many of the humpbacks that we have seen have been unfamiliar individuals, with a number of juveniles, including Flamingo’s and Mostaza’s 2014 calves. Flamingo’s calf is a whale that appears to be well-known throughout the area, as there have been multiple reports of this whale interacting with boats and their passengers. 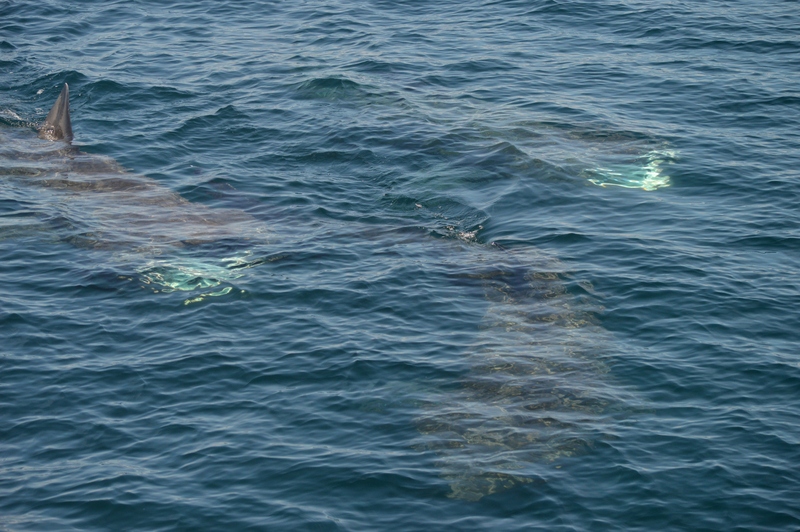 Our experience meeting him/her was no different, with the whale circling the boat, rolling and laying lazily at the surface. 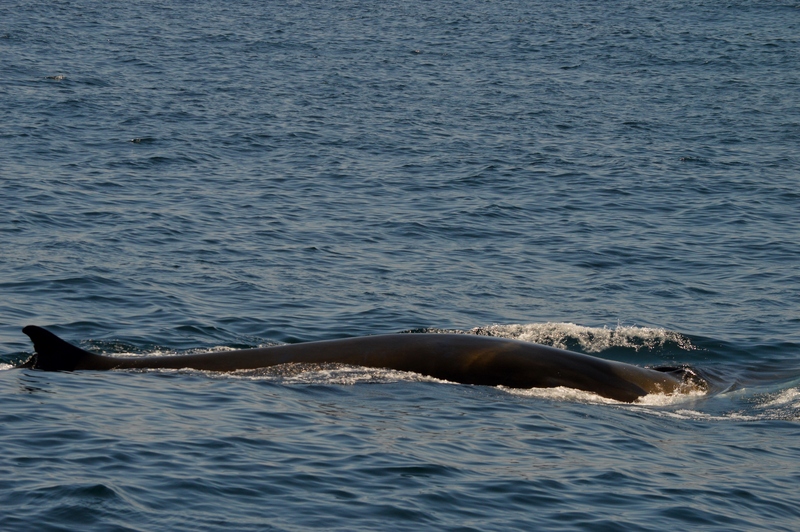 My favorite sightings recently have been a mother and calf fin whale pair that we have watched a couple of times. 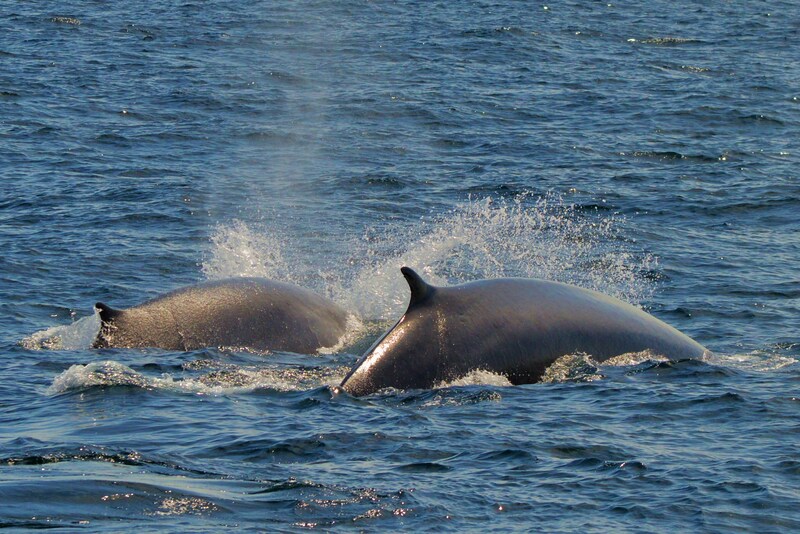 It is uncommon to see a mom and calf fin whale pair, and we don’t know if there is a designated breeding ground for this species or where they spend their time at different times of the year. One young calf was very surface active two days- the first time we watched this pair the calf breached out of the water, and the second it lunged as it was swimming, creating a huge splash each time it surfaced. 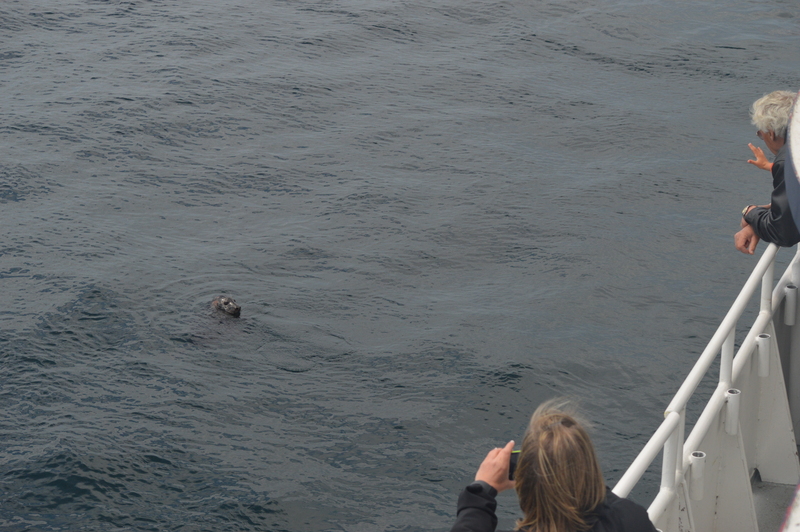 In addition to the whales, we also had an amazing encounter with two young seals. These two swam right up to the boat and played along side of us with each other, but what was amazing was watching them look at the different people on the bottom deck!